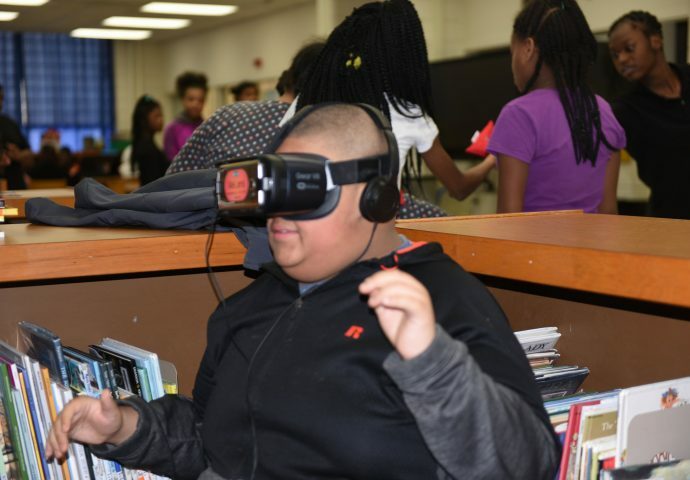 Forty special education students at 53rd Street School, 3618 N. 53rd St., recently participated in a “virtual field trip” to a hydroponic greenhouse to learn about growing produce sustainably. 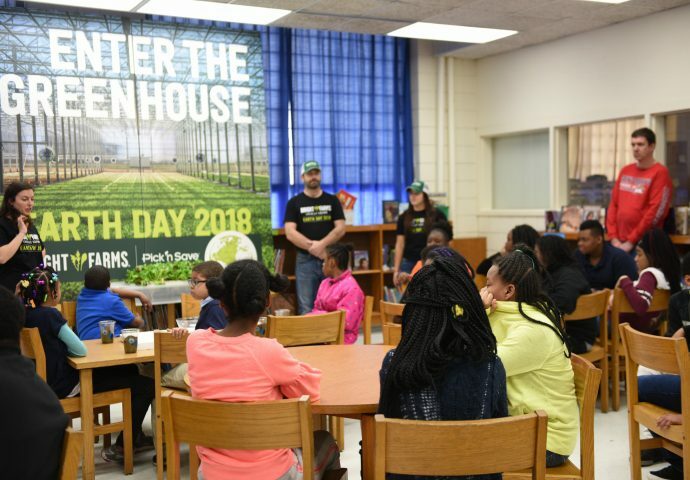 Sponsored by produce company BrightFarms and Pick ‘n Save, the experience allowed the students to celebrate Earth Day in a unique way. 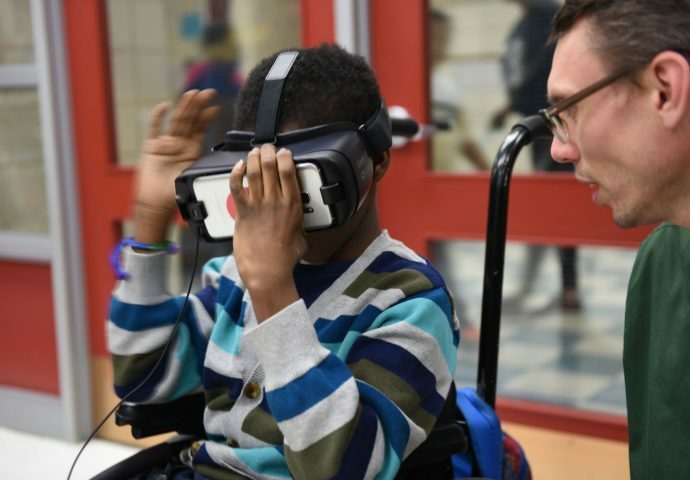 Since many of the students have physical or sensory challenges, it can be difficult for them to participate in field trips, according to special education teacher Megan Rierdon. 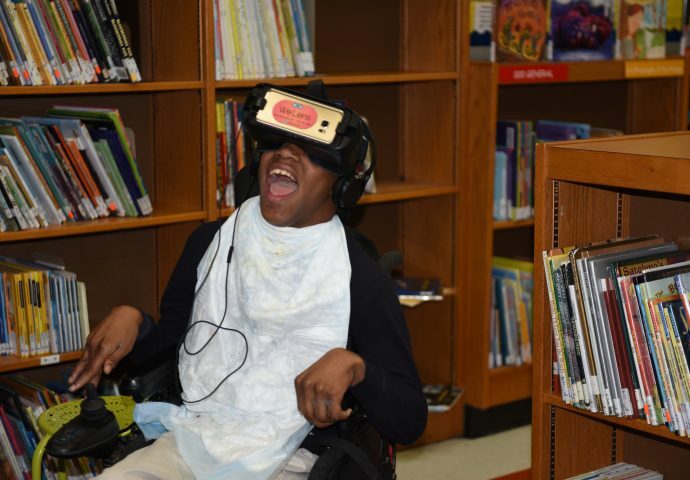 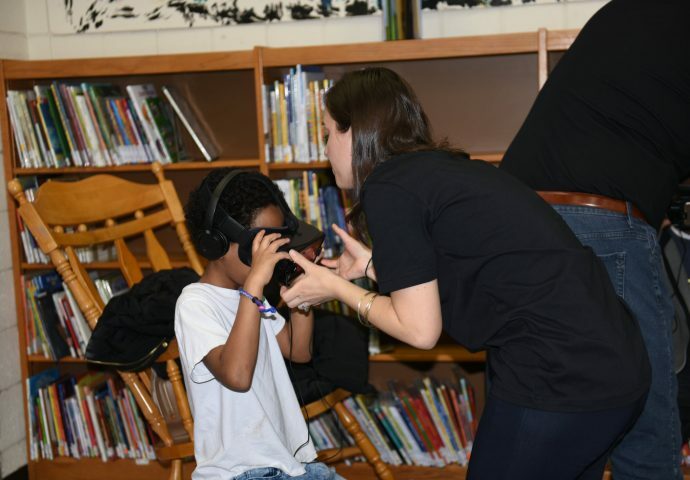 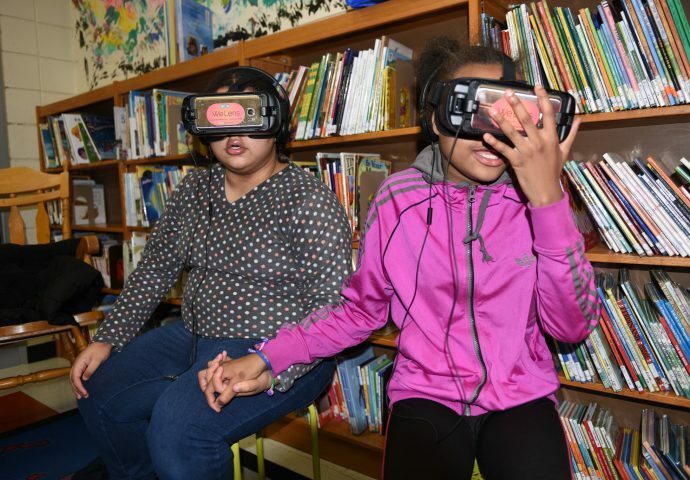 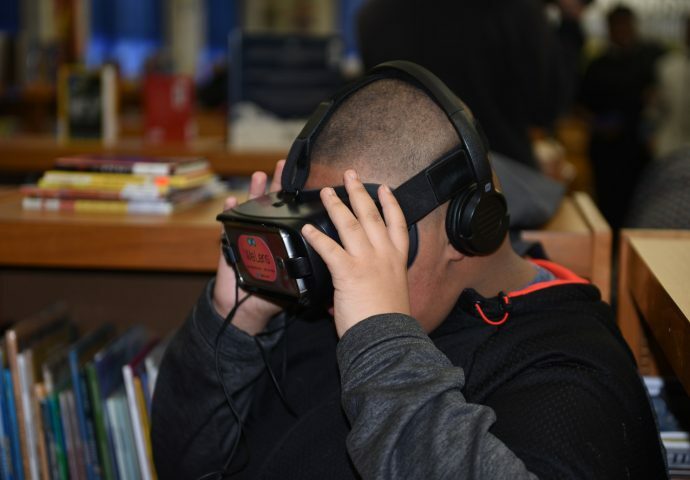 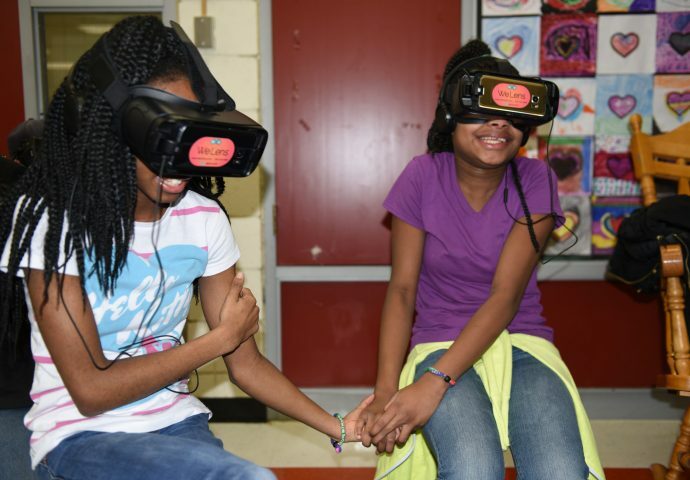 “VR can be extremely beneficial for students with disabilities, particularly those in wheel chairs who may have accessibility challenges or those with autism that may experience stress or anxiety going out on real field trips due to sensitivities with unfamiliar locations,” she said. 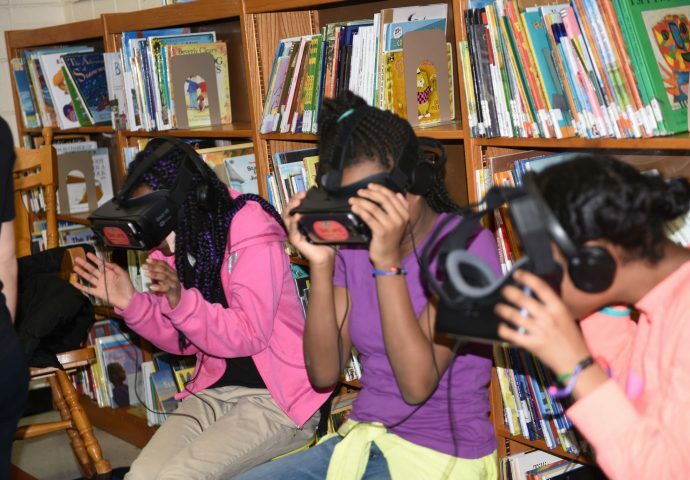 “I feel like this …will be a field trip of a lifetime!” Rierdon noted before the event. 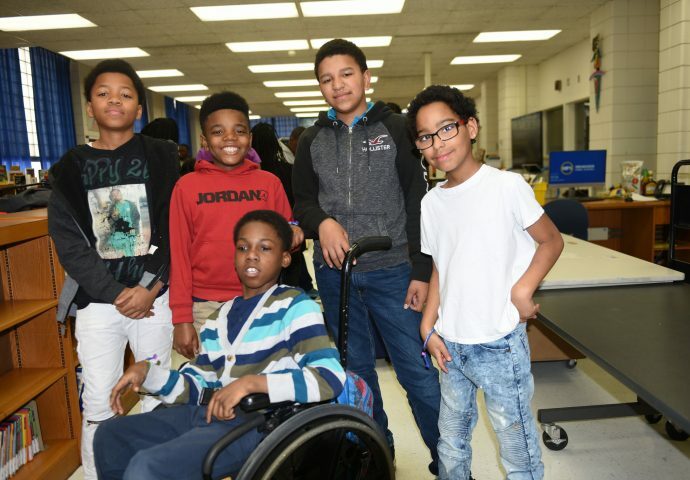 In addition to the interactive lesson on sustainability and caring for the earth, students participated in a nutrition lesson that included a do-it-yourself salad bar with all the fixings.